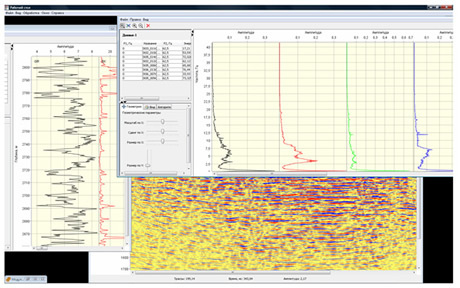 Processing of low-frequency passive seismics data is characterized by the large volumes of the raw data as well as by the need to subject such data to multi-variant resource-intensive calculations. For this purpose Gradient JSC applies an in-house software package based on the most advanced software and hardware solutions. The software package is built on three-level architecture. 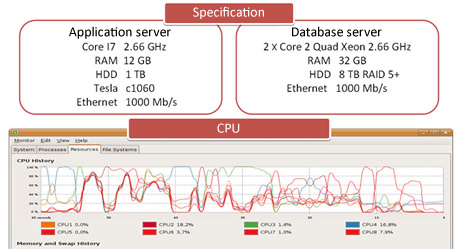 All resource-intensive calculations are installed in the application server implemented on the basis of J2EE technology. 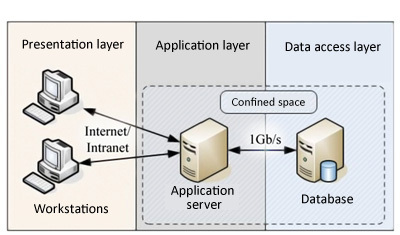 The application server actively uses distributed calculations ensuring high scalability of the software package. In order to ensure flexibility, the PC system manages the data processing according to a user-defined processing sequence. 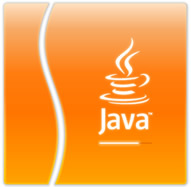 The processing sequence is compiled by the user from a great number of standard processing functions and may be extended by the user-defined Java and Matlab modules. Processing sequence may include branchpoints and savepoints for intermediate results which makes it possible to minimize repeated calculations. Raw, intermediate and resulting data are stored in the relational database. 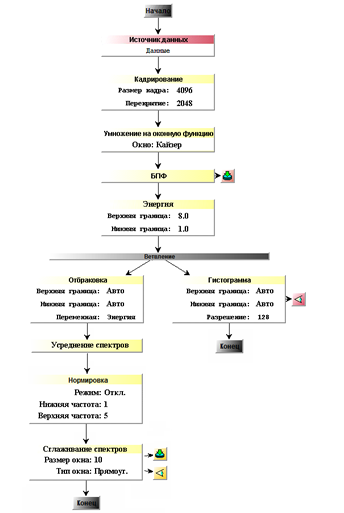 The relational database has a flexible structure which may be expanded by the user. Along with the low-frequency seismic data, the system may also use seismic data, well logging data and other factual and cartographic geological-geophysical information. All available information may be graphically visualized at any stage of processing. 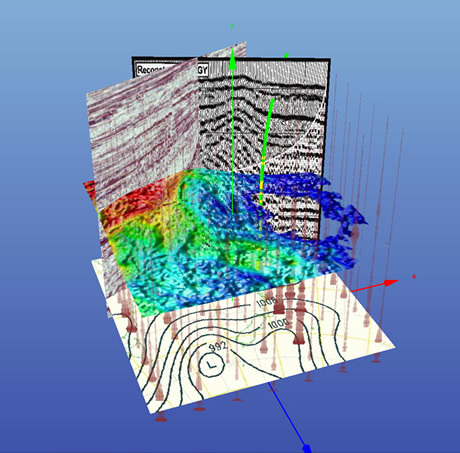 Visualization includes plots, maps and 3D models. The contents and the form of data presentation may be dynamically changed by the user in course of data processing.